ATIMAGAZINE | BLOG: Anonymity A Poem! Today’s post is a little more serious compared to my usual content however hopefully just as interesting to read. Earlier this month I came across a blog post by blogger Nicole Eddy called ‘Guess Who’ it spoke on a topic that is becoming more and more relevant to the world we live in everyday. So after reading this I decided this was something I wanted to talk about as well. I know a lot of people will come to experience 'Anonymity' and 'Cyber Bullying', or will know about it or see some form of it online through Social Media and a lot of YouTube comments. I hope if you take anything from this blog it is simply that everyone in this world will have their own 'problems' their own things they are facing and going through, so it isn't a good idea to take it out on others. Sometimes unfortunately because of this people feel the need to make anonymous accounts online to make themselves feel 'better' and consequently this allows people to feel it is 'okay' to victimise and bully others, probably those who they see as having a 'perfect' life or having a 'good time' or being 'successful'. I think people's judgement can be clouded when it comes to the internet and the fact that what and who we see online and what is broadcasted is only a small amount of who these people actually are, and what their lives entail. In fact a lot of these people are actually creating content and broadcasting for their own lives, for their own escapism. There is always two sides to every story and the more the 'internet' evolves and becomes the 'Power Tool', the more I feel the need to speak about the 'Dangers' and 'Problems' it can have. After recent events that have happened throughout the YouTube community, I feel this has helped open peoples eyes to see that nothing is quite how it is portrayed. I guess when browsing the net.. be careful and don't be so naive, know yourself, know your facts and just be weary and trust your instincts. 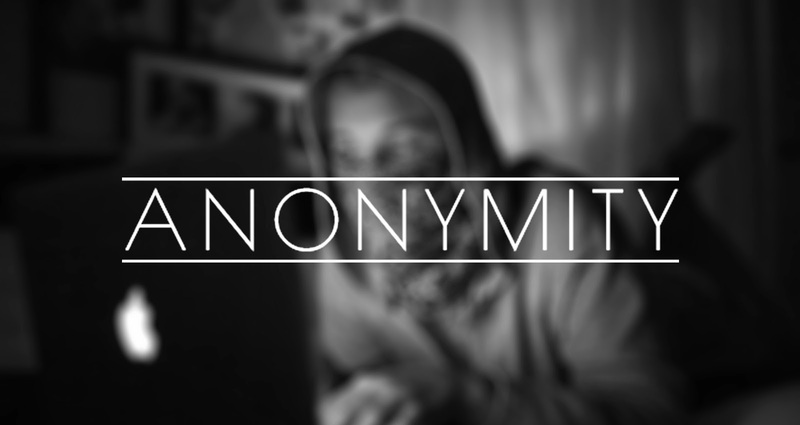 Anonymity may be right for some people, but in the long run it needs to be monitored in some way when it causes upset to others. Some people feel that because you are anonymous and because you are behind a keyboard that the person on the receiving end will simply brush it off and it isn't as bad as if it was to happen in person. This is not the case and sometimes to be on the receiving end can be a lot worse then if it was in person. I would suggest that you find another way to express how you feel... Write a blog? Write a poem? Give constructive criticism not abuse. Put your feelings into words... not into hate comments and direct abuse to others online. THINK would you say this to people in person? Doesn’t mean its right and its not hate. Everyone has feelings and everyone feels pain. It doesn’t make it right… Just cos you hide your face. You don’t even think your words are nice. And to you there DOING great. So it seems. But they have ALL these DREAMS and SUCCESS. So why would you GO online? Everyones story has TWO Sides. No ones world is simple. All Words COLLIDE. So you type IN CAPS to say them LOUD. Who’s that helping now? Does that make you PROUD? So how would you feel if you was on the receiving end? Of the negative comments and ALL the things you SEND? Would you say it if that screen was to break? And you were TO CONFRONT them FACE TO FACE. But do you know that what you get is exactly what you give? Your words have consequences… just so you know. But sometimes when they sleep all that plays in their minds are those words. When ANONYMITY IS DUMB. And shouldn’t be played. Lives are not a GAME. Just think about what you write. Think about your words and how they may affect someone else's life. Don’t take it out on those who may seem to be doing better then you. You don’t know what they don’t show. And her life under a roof of A BROKEN HOME. So don’t take IT out on others when we are are all the same. In a world full of love… trying to find that flame. Looking for others we feel the NEED to blame. Concealing our IDENTITY, hiding our name. THAT we need to FULFIL in our heart. Shouldn't be used in vain. Simply because life can be beautiful and everything can change. I really enjoy being creative and I really enjoy putting words together and exploring lyricism. I hope this came across okay as I was very inspired by Nicole's post and by this new video by content creator JacksGap called 'YOU'. So I am going to leave that below for you to watch. I hope you enjoyed this blog post. Live life and chase your dreams.